Imagine Horseback Riding mounted on beautiful Paso Fino horses in and around 2,200 acres of Puerto Rico's countryside. We provide gentle, but spirited, healthy horses that can accommodate beginner, intermediate, and advanced riders. 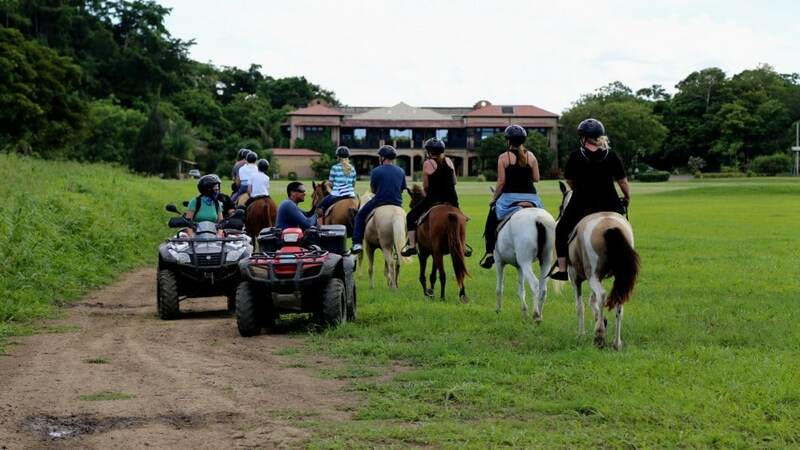 Once guests have checked in, they are taken to the barn area where they are given a basic lesson in horseback riding and orientation on the trail's riding rules.